Although I love my coffee, I’ve been trying to pull back on how much I drink and incorporate more tea into my diet. I’ve read numerous studies on the antioxidant properties of tea, and how they may help with longevity. Tea is also a source of vitamins like Vitamin B2 and Vitamin A. 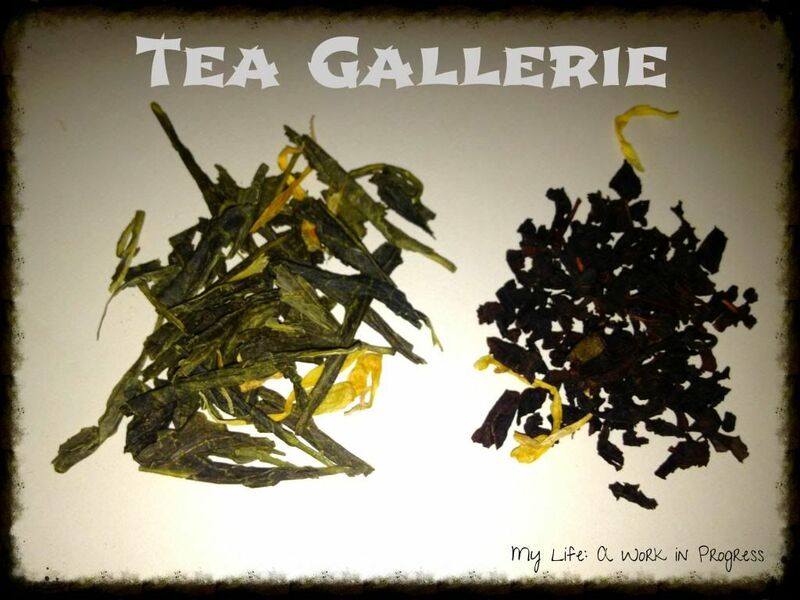 Tea Gallerie is an online retailer of premium loose-leaf teas. Their entirely organic tea selection includes types of black, green, herbal, chai, white, and oolong (and more!). They also sell flowering tea, a little bundle of tea leaves that opens into a “flower” shape when placed in tea water. The kids section of Tea Gallerie comprises a fun collection of caffeine-free blends like Bubby Blueberrie and Mango Sweetie. Also on Tea Gallerie, find a variety of infusers and filters, including adorable octopus and duck infusers. They also sell items like tumblers, tea makers, and travel mugs. I received a package of Green Tangerine and a package of Passionfruit Black. Both are tasty, and they smell delicious! Since I’m not a tea connoisseur, I can’t talk about nuances of flavor, etc. 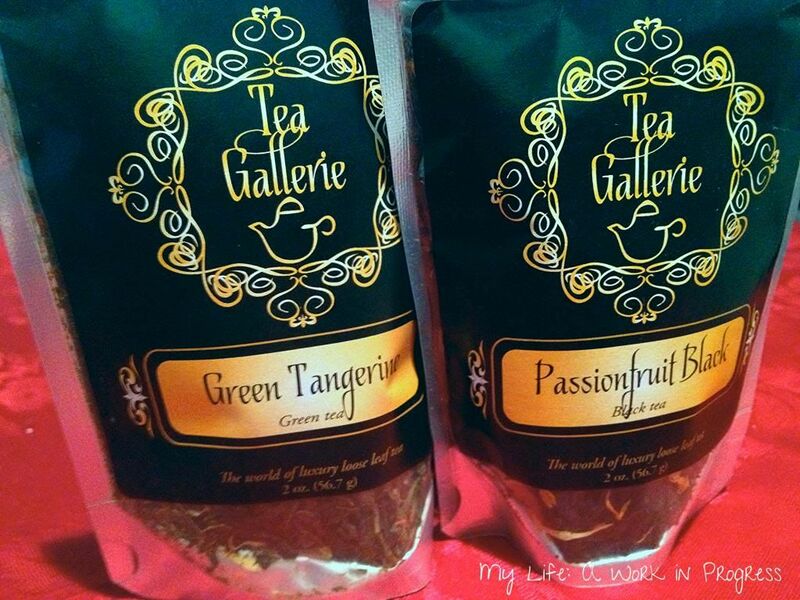 I’ll just say that I liked it, and I would purchase from Tea Gallerie in the future. I especially love their children’s blends. What a great idea to get kids interested in healthy drinks! The tins for these teas are really cute too. Check out the adorable packaging. They also have a nice gift section. How about this tea maker? How cute is that? As I’ve mentioned, I’m not an expert on tea or tea prices, but I did do a cost comparison. Monkey-picked oolong tea on the Teavana website is $50 for 4oz. Tea Gallerie’s monkey-picked oolong tea is just $28 for 4oz. Are you a tea drinker? What’s your favorite kind? Thanks for your interest! For the holidays, we are offering FREE shipping for orders of $50 or more to anywhere in the world! Keep us in mind this season. Happy holidays! Oh my goodness I LOVE tea – especially teas that are natural! That’s so awesome they have kid teas, too! That package IS really cute! I honestly, can’t pick a favorite tea because I love tea so much. I do LOVE chai tea, but I also love herbal teas for different purposes like when I need to relax, have a stuffy nose, sore throat, etc. Plus, green tea and black tea is awesome. Finding a good tea is very hard to find. I am so picky and that is why i don’t drink a lot of teas. But I hear it’s really good for you so I want to try drink some tea. I will definitely look into trying this tea. Thanks. Although I am not a tea drinker right now, I do want to start…it has to be much better than sodas! I do like all the different flavor options they offer now. This brand looks and sounds delicious, especially the Passionfruit Black. I am definitely going to give them a try! I am a huge tea drinker, but I have yet to use loose tea leaves. I prefer the ease of those giant cold brew bags.